Writing isn’t always easy even for veteran and experienced writers. If you are going through some form of creative blockage, don’t panic. This happens to everyone. There are many ways to jolt your brain back to writing. However, traditional suggestions like getting fresh air is not always the answer for everyone. This is particularly true if you are working in an online environment. Luckily, you can rev up your mind and get back in the zone by using online tools. Online writing tools are becoming the go-to solutions when faced with content creation difficulties. They are effective assistants in making creative development easier, as well as for organization and productivity purposes. If you are struggling to tap into your inner writer, using online writing tools can help you. Here are some that can help you break writer’s block without ever locking your computer screen. Sometimes simplicity can bring out your creativity. If distraction is your number one enemy, you can choose distraction-free online editors. These are simple text editors that you can access via the Internet. One great editor is WriteApp. If it is your first time to use this editor, you will need to sign up for an account. After the registration, you can let your creative juices flow. Besides WriteApp's basic writing feature, you can keep your ideas and thoughts organized too. This tool's multiple notebook feature keeps them neatly separated from one other. You can also publicly share your notes or email them to your colleagues – that way, you can get instant feedback, leading to more creative thinking. Finding a hard time following the write first, edit later rule? Edit-lock editors are the answer. This type of online writing tool prevents time-consuming edits. You can only make changes upon reaching your document's word count goal. Take note that you will need to predetermine the word count before you can type away. Ilys is a simple edit-lock editor to consider. It boasts the same edit-lock concept of other tools, but with more features. You can write in public and never be intimated by the tool’s Ninja Mode. This feature prevents other people from peeking at your work. How? It makes your words invisible. If you want to take a quick look at your text, you can always toggle the Ninja Mode on and off. Aside from privacy, this tool also promotes consistency. 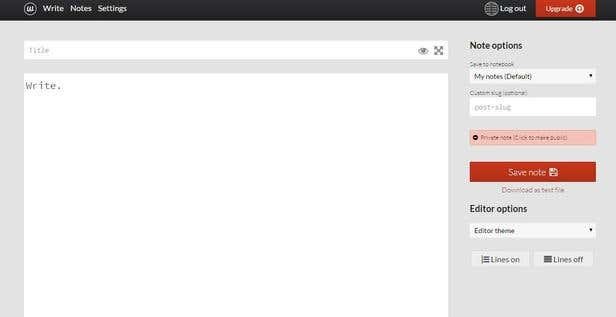 For error-free content, Grammarly is very useful. 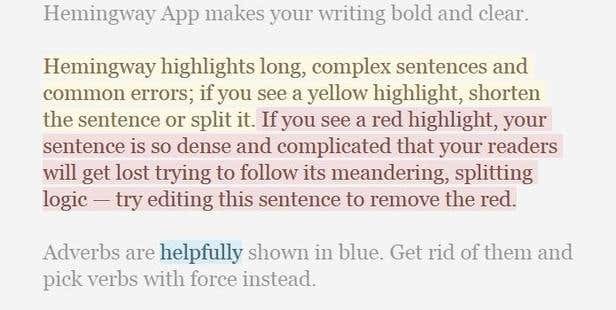 This tool is like your personal editor. It can check or proofread your article up to ten times than regular software. You can also improve your spelling, punctuation, and grammar with its valuable insights. If you're feeling stumped and can't move on with your writing because of grammar issues, this tool can help you. Another remarkable grammar tool is Hemingway. By simply pasting your article to the site, it will be able determine the readability of your content. It can also give you an idea about your writing style. Writer’s block may happen to everyone but it doesn’t mean that you are stuck there forever. Whether you are an aspiring writer or working as a freelance writer, you can break through the hurdle of the unavoidable writer’s block by using online writing tools.